Before we dive into my caffeine addiction, it’s affect on my creativity, and an opportunity for one of you to win twenty five thousand dollars (!!!) here is something I want you to know about this post and my partnership with Folgers! This post is sponsored by Folgers as part of an Influencer activation for Influence Central. I enjoyed testing out Folgers Coffee as a part of this campaign and only share products on Ariel and Alder that I would truly recommend. I am disclosing this in accordance with the Federal Trade Commission (FTC) guidelines concerning the use of endorsement and testimonials in advertising. I received complementary products to facilitate this review. Life revolves around coffee, and for me this statement is extra true. I wake up every day only ready to hit the day after a few sips of this glorious brewed energy, and I know I’m not alone. Eighty three percent of Americans start their day with at least one cup of this mighty dark fluid (USA Today) and with enough of us drinking it, it’s not surprising that coffee has become synonymous with late nights and early mornings. Some of the best days start early in the morning and much as I try to keep a somewhat healthy schedule some of my best creative “Eureka!” moments arrive late at night, both of these instances are usually supplemented with a cup of coffee. Finishing a long embroidery project, writing a blog post, brainstorming for whats ahead. If inspiration had a smell, it would smell like coffee for sure. Folgers is hosting a contest for caffeine fueled creatives, and the payoff comes in the form of a 25,000$ grand prize. Stretch your brain, put on your thinking cap, and grab a cup of coffee. Here are the contest details, and just in case I miss something here is a link to the website. 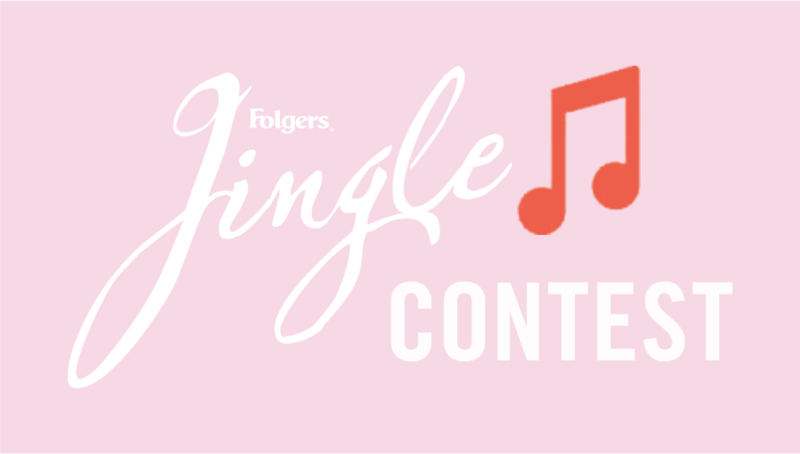 This contest is centered around the iconic Folgers jingle! which is a phrase I personally heard about a thousand times as a child, not even knowing what coffee was or why it might be the best part of anyones morning. In particular I remember watching this 1996 commercial, too funny how some things stay the same and get refreshed. If you have a musical ear, here is how you enter and some dates to be aware of. January 30th through February 27th: Submit a video of your rendition of the jingle here. Your version of the jingle should include they complete melody and complete lyrics. Febuary 27th to March 19th: Folgers will choose 5 semi-finalists and each will have a mentor session with country singer Chris Young before the online vote. Here is a video that goes over the contest!